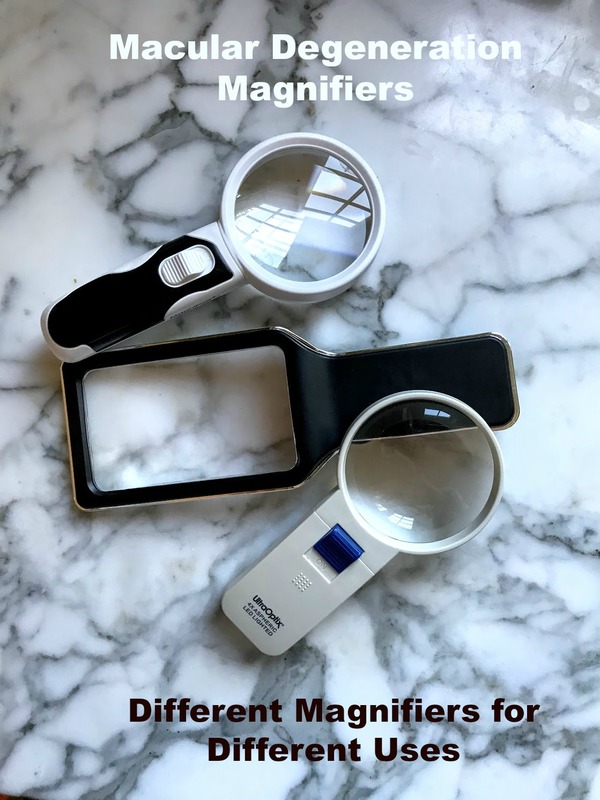 There is a different macular degeneration magnifier for different tasks from handheld to hands free, from small credit card magnifiers to large full page magnifiers or from close up to distance magnifiers. There are different magnifiers for different tasks. 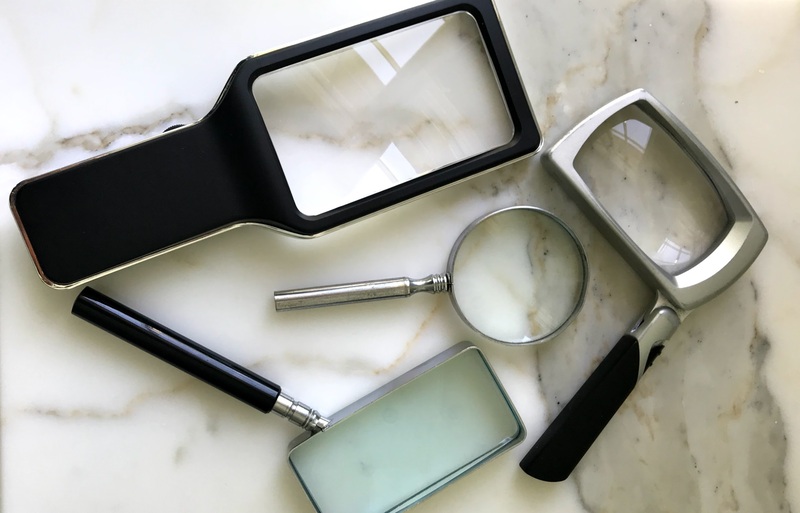 The type of magnifier you purchase depends on what activity you want to use it for - whether it is for reading a recipe or a book, doing detailed work like sewing or for distance viewing like watching a ball game. 3.) The power magnification that is needed. Along with choosing the right magnifier you also need to know how to use it correctly with the correct lighting. 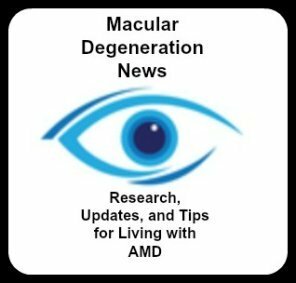 This means that you may need 2-4 macular degeneration magnifiers for doing different tasks. The lens size needs to be large enough to see as much as possible and/or small enough to be carry in your pocket or purse. Magnification is the ratio between the apparent size and the true size of the viewed object behind the lens. If an object behind the lens appears ten times larger than its true size, and the object is in focus, the magnification is 10X. Focal Length has do to with how far the magnifier needs to be from your eyes and from the object. The stronger the magnification, the shorter the distance between the magnifier and the object. 1. The stronger the magnifier the smaller the viewing area. 2. The stronger the magnifier the closer the lens must be to the viewing area. Use the weakest magnifying power that does not cause eye strain. Often a stand magnifier (a magnifier on legs) is the magnifier of choice because it is preset with the correct distance to maintain the best focus. 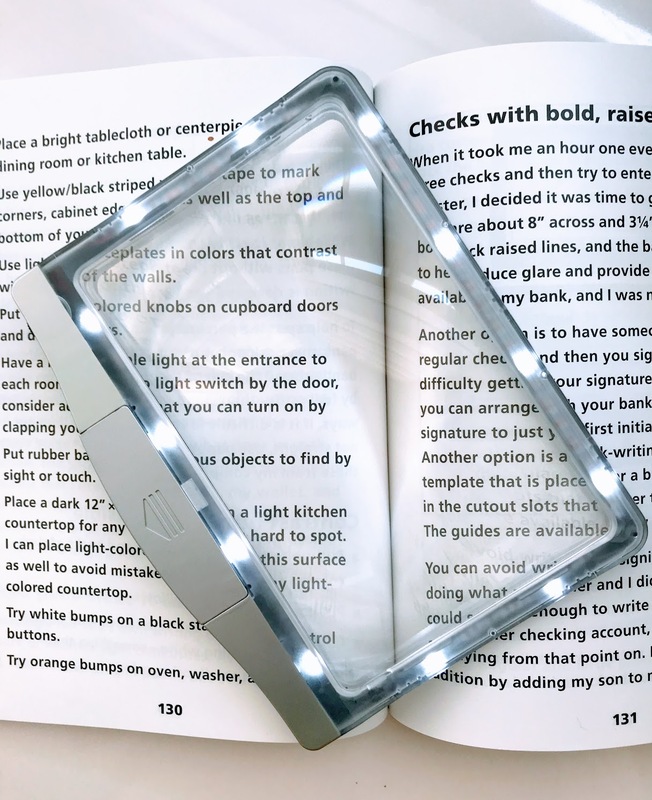 However, if you are able to read a book with a 2x hand-held magnifier, the magnifier can be several inches away from the book and your eyes can be several inches away from the 2x hand-held magnifier. Macular Degeneration Magnifier Lens - Acrylic or Glass? Glass lenses allow more light to be transmitted through the lens and usually have very clear optical qualities. It is hard, but not impossible, to scratch a glass lens. Acrylic lenses are very lightweight compared to glass lenses. They normally don't break or shatter and are scratch resistant. Many of today's magnifiers are acrylic and have exceptional optical qualities. 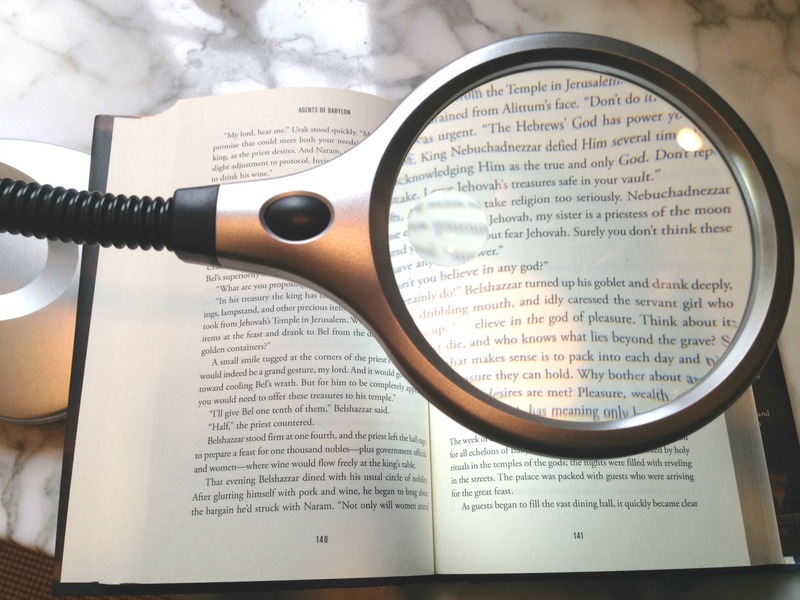 A magnifying glass with light provides light and magnification. As your macular degeneration progresses you will need more light and more magnification. 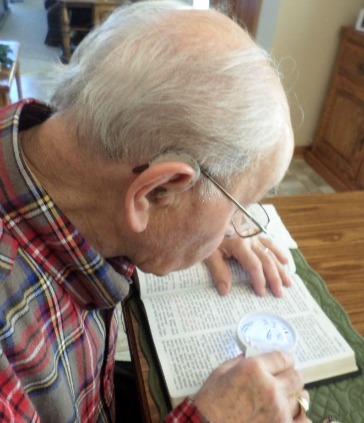 You don't have to get under a lamp or over to a sunny window to read with lighted magnifiers. Use it for checking your mail, reading a menu, or searching for a new recipe. Keep in mind that when the power of the magnifier increases, the size of the lens decreases. The size of this magnifier limits the magnifying power. The most it can magnify is 2X - 3X. However, with the right lighting, this can be enough magnification for many people. A full page magnifier offers the benefit of seeing more than just a few words on a page. 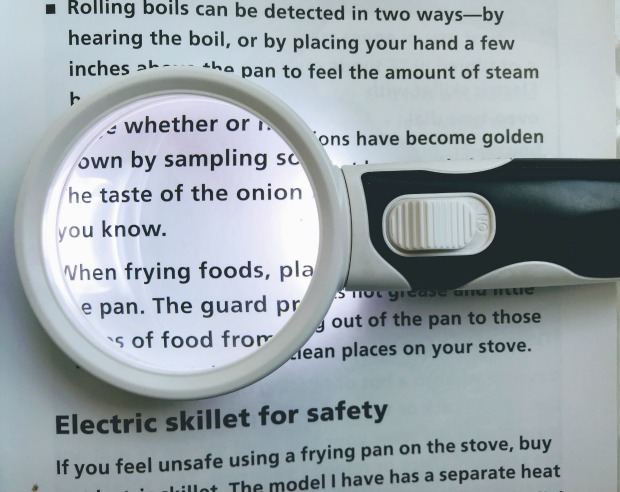 This magnifier has to be held at just the right distance for clarity so it is best for short-term reading - like checking a recipe in your favorite recipe book or a magazine article. Stand or neck magnifiers leave your hands free and there is no need to constantly adjust for the right distance so the words aren't blurry. 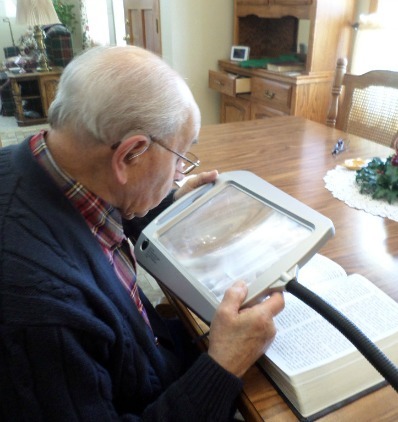 A handheld electronic magnifier offers many features that are not available with a hand held magnifying glass. A magnifying desk lamp is a great visual aid to help with reading, hobbies, writing bills or sending off a letter. The magnification power for these lamps range from 2X to 3.5X. The lenses can be made of high quality plastic or glass for distortion free viewing. Get one with an adjustable or gooseneck so it can be positioned in a way to provide you with the best visibility. A TV magnifier can be used in lots of different ways. My father-in-law uses it to display his bills onto the TV screen, read the sports page in his local newspaper, and to look at greeting cards that come in the mail. This inexpensive and easy to install device magnifies to the size of the television screen - so the larger the screen, the bigger the magnification. 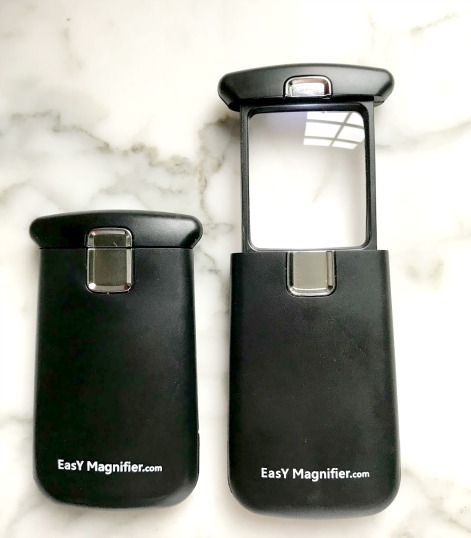 Pocket Magnifiers are small, compact, and lightweight macular degeneration magnifiers that you can take with you anywhere. There are round, rectangular, and square pocket magnifiers. 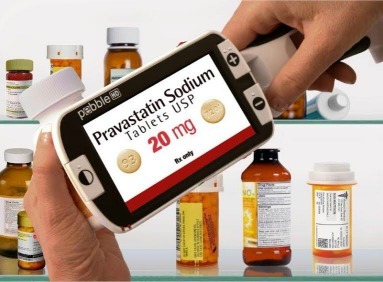 Small enough to conveniently fit into your pocket or purse, you'll be ready to read a label, price tag, or instructions. Both illuminated and non-illuminated magnifiers are available. The range of magnification goes from 2x to 20x power magnifications. For short periods of reading a hand held magnifying glass will suffice. Use one to read a newspaper article, a letter, instructions, or to go through your mail. These handy magnifiers come in many different sizes, shapes and powers. 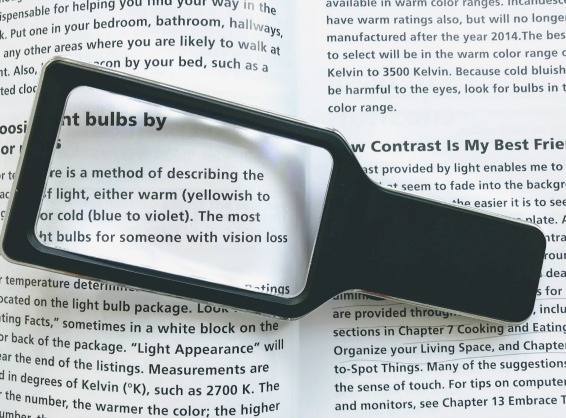 Lighted hand held magnifiers offer light and magnification. Bright LED lights don't burn out and if there isn't a swing arm lamp nearby it doesn't matter. The benefit of a hand-held magnifiers is that they are portable. They come in a variety of prices and magnification power from 2X to 100X. Eschenbach’s products are different due to their quality, superior features and innovative designs. Eschenbach prides itself on manufacturing quality products and as such, is able to offer a lifetime warranty on its hand-held and stand magnifiers. We are the leading innovator in the low vision industry with many of the most cutting edge products and features. For example, our patented cera-tec® lens coating makes lenses nearly glass hard so scratching is minimized by 50% versus other brands. It can be very tiresome and annoying to hold a magnifier while performing a hobby or reading - so that's why hand free magnifiers were invented. Whether you want to wear one around your neck, clamp one on the workbench in the garage or have one at your desk for bill writing, this magnifier may make it possible to continue your favorite hobbies. 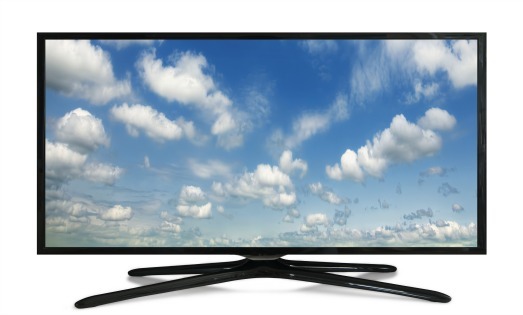 Watching TV is a favorite past time for many people with macular degeneration. Sitting closer to the TV is one way to see the details better, use a TV screen magnifier, get a larger TV screen, or wear magnifying TV glasses. 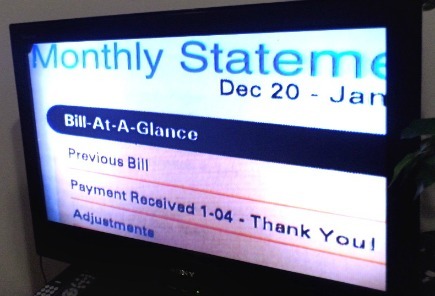 You may not be ready to upgrade to a large TV screen like my husband's friend who just installed a 55" flat screen TV. Before you do that consider a television screen magnifier. TV magnifiers can be either a simple gadget you easily install in front of your TV or magnifying TV glasses that you can take with you wherever you go. Most of them are high quality and offer distortion free magnification. A computer screen magnifier can come in different forms. 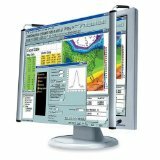 You can buy a computer software that will enlarge your screen or buy a simple screen to put over your monitor to enlarge it. There are a couple of things you can do for free to enlarge your screen as well.